Apple today revealed that it is planning to introduce an all-new Mac Pro and a new external display next year. It’s been almost four years since Apple introduced the “trash can” Mac Pro. We all figured the company was giving up on the high-end machine and professional users who required all its power, but today it finally clears the air and confirms the Mac Pro’s future. 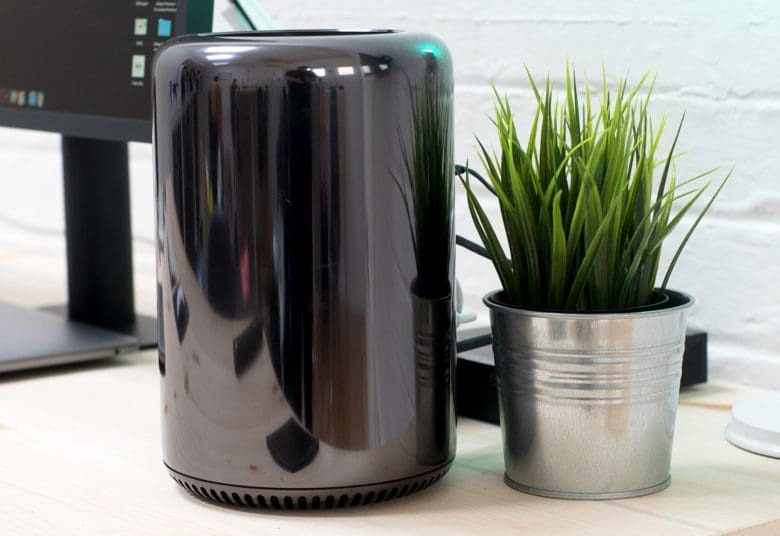 “We are completely rethinking the Mac Pro,” Phil Schiller, Apple’s SVP of worldwide marketing, told reporters during a recent roundtable at the company’s Machine Shop hardware prototyping lab. And there will be a brand new Apple display to go with it. Schiller was keen to point out to reporters that the Mac business is still growing faster than the PC industry, and now boasts almost 100 million users. It is close to being a Fortune 100 company all by itself, with a value nearing $25 billion. The vast majority of computers Apple sells (80 percent) are notebooks, but the company still recognizes pro users who need a beefy desktop. Schiller confirmed that Apple has a team “working hard” on the new Mac Pro right now, and that it will be designed “so that we can keep it fresh with regular improvements.” He emphasized that the Mac Pro is a “modular” system. This could signal the return to a more traditional desktop computer, which would give users the freedom to upgrade things like the processor and graphics cards as they see fit. These things are not replaceable in the current Mac Pro, and that’s an issue. Even when it launched, the Mac Pro wasn’t as powerful as it could have been. Apple uses the kind of GPUs more commonly found in notebook computers, and they can’t compete with the dedicated video cards most consumers want in a high-end rig. This all sounds incredibly promising, but neither the all-new Mac Pro or the external monitor that will go on sale alongside it will be available this year. Apple didn’t actually say when they would be available; we just know it won’t be in 2017. However, Apple is launching a refreshed Mac Pro today to tide us over (read: shift more units) in the meantime. It brings faster Intel Xeon processors with more cores, and the option to add beefier AMD FirePro graphics.